Would you like to start a unique cultural lesson in Japan? 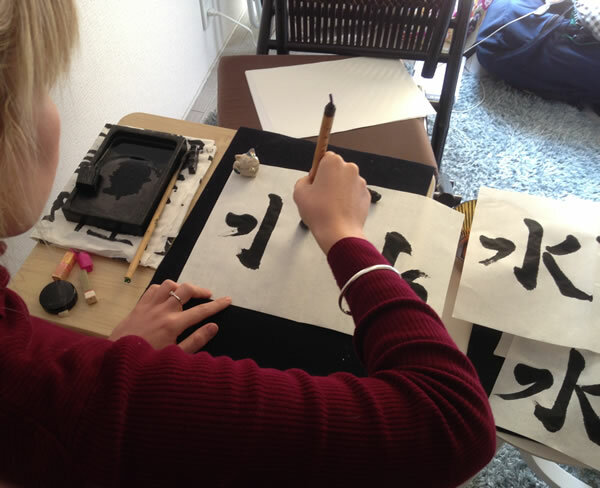 By learning calligraphy you can learn and get familiar to Japanese language and letters. Calligraphy is the art of “drawing” words by using a brush. 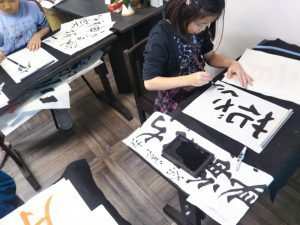 Calligraphy, which is one of the traditional cultures nurtured in Japan since ancient times, will lead you to the world of Zen. You can feel the touch of colorful and profound expression of brushworks woven from various letters and black ink. 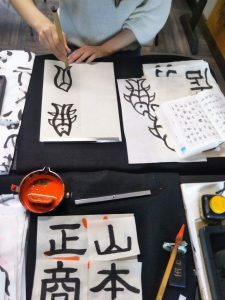 You can try out 1-day Calligraphy workshop (trial lesson). please come and try out! 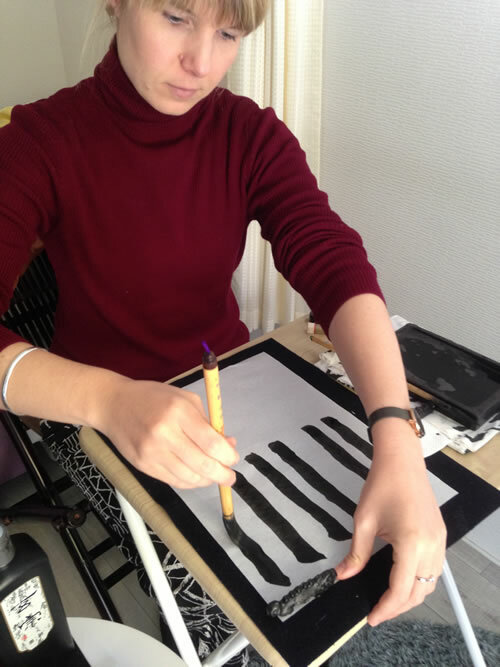 Atelier Kakko opens the door for you of calligraphy and Japanese culture. 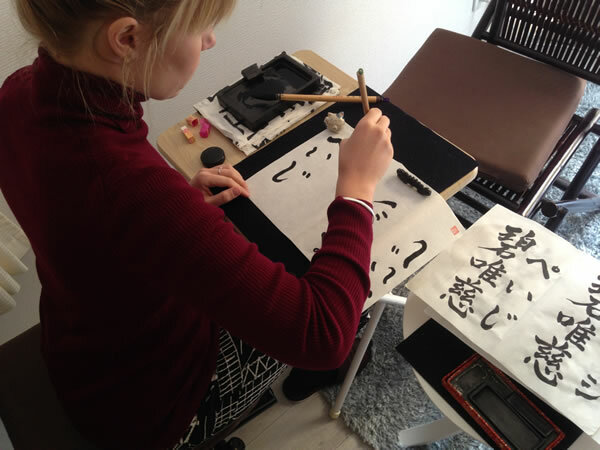 Get your expanding world by learning calligraphy with Atelier Kakko! 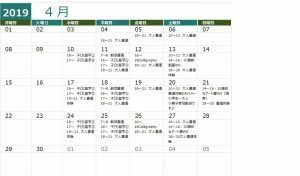 Check the monthly lesson time table and make a reservation at the convenience of your own schedule. About private lessons, please contact from the inquiry form. 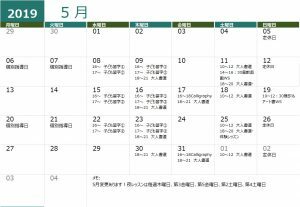 Lessons are conducted mainly in Japanese, but English textbook is available If necessary, please ask. 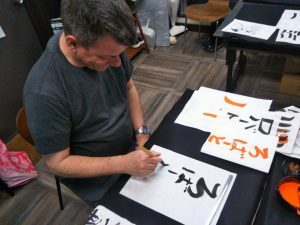 I have 30 years of Calligraphy and 10 years of Japanese-teaching experiences, and I can assist overseas participants to learn Japanese as well in my lesson. Sitting with your back straight, hold a brush in an uplight position. Start from learning basic strokes methods including vertical lines. 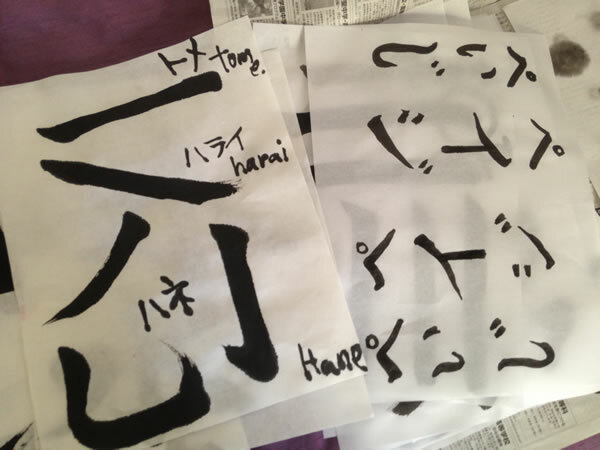 After learning managing a brush and drawing basic strokes such as “tome”(halt), “hane”(bounce) and “harai”(dispel), you will learn how to stroke simple characters. Try to write your name. 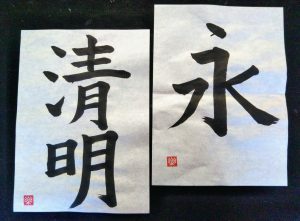 There are three types of character in Japanese —Katakana, Hiragana, and Kanji. I will offer your own Kanji name that matches your image. Finally you will be able to compleate various letters and characters. About other workshops, please click here. Copyright © 2019 新宿神楽坂書道教室　アトリエカッコ/atelier Kakko All rights Reserved.